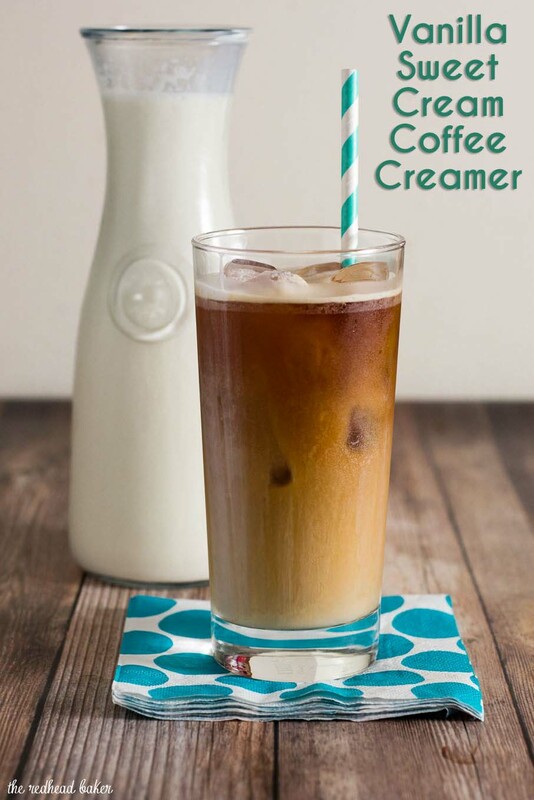 When it’s too hot for hot coffee, make some cold-brew coffee, and sweeten it with this homemade vanilla sweet cream coffee creamer. For quite a while, I only drank my coffee hot, even on the most brutal days of summer. I couldn’t imagine drinking coffee cold. I broke down and tried iced coffee once. It was okay, but I still preferred my coffee hot. Then I tried cold-brew coffee, and my opinion completely changed. 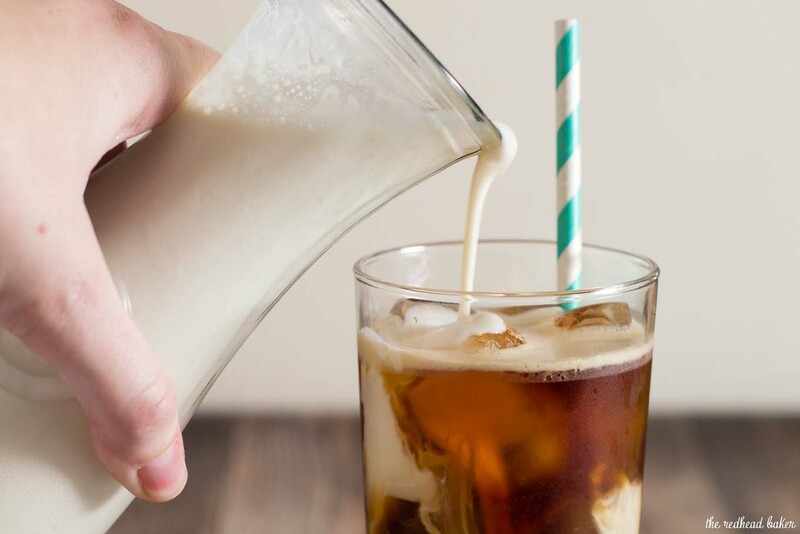 While iced coffee is just regularly-brewed hot coffee that is chilled and served with ice, cold-brew coffee is made with, well, cold (or room temperature) water, and brews over 12 to 24 hours. The result is coffee that’s mellower and less acidic. My favorite coffee chain has a menu item that consists of cold-brew coffee and sweetened vanilla creamer. The coffee is so smooth and easy to drink! I could drink two a day, which is bad for my wallet, and borders on a dangerous amount of caffeine. 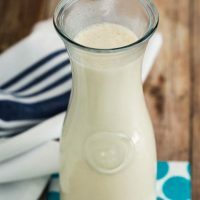 I’ve been making cold-brew coffee at home for about two years now, using Cook Like a Champion’s recipe, but I’ve been using store-bought coffee creamer. But those creamers never really replicated the flavor of the sweet cream cold brew at the coffee shop. 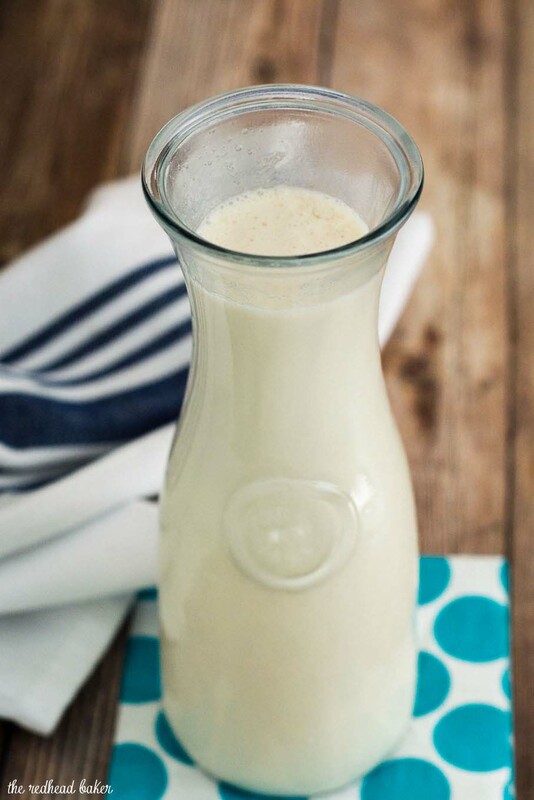 This creamer is so simple: just three ingredients. No cooking. Just stir to combine. It will keep in a sealed container in the refrigerator for up to two weeks, which is more than enough time if you typically drink a glass of cold-brew once a day. Simple fill a glass with ice, fill with cold-brew coffee, leaving enough room for your vanilla sweet cream coffee creamer. Add enough to suit your taste and enjoy! 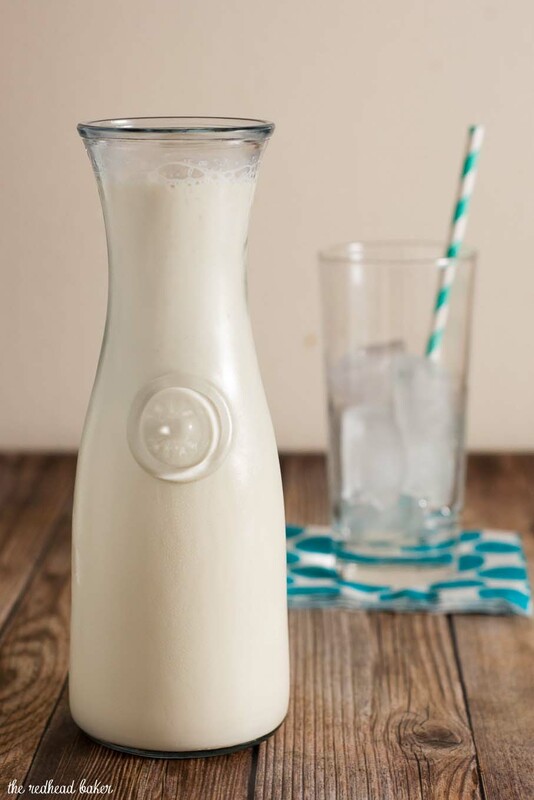 Pour into a carafe and store in the refrigerator. I made it with 10% coffee cream, vanilla and honey to taste. Was delicious and way less calories and fat. How long will it last in the refrigerator? Judy, it should last about two weeks. 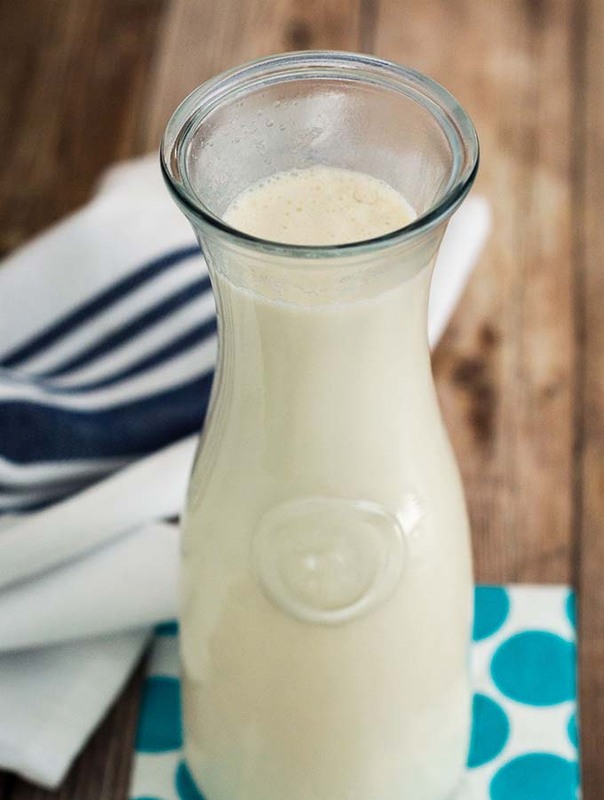 Compared to buying the creamer at the store,is it considered cheaper to make it yourself? It really depends on the cost of the ingredients in your area. Some prefer to make their own, no matter the cost, to control the level of sweetness, or the amount of sugar, or to substitute for allergies, etc. Hi there. How many calories is this? I made this and it was great. Tastes just like the vanilla sweet cream at a certain coffee chain who’s name rhymes with Carbucks.